Be clear what you’re searching for and why. You may be looking for a job paying more money than the one you already have. Alternatively, you might be unemployed and desperate for a job and anything will do. Between these two, a whole raft of other needs will colour the reasons why you want a job. The following steps can help you to be clear about your realistic needs versus your ideal wants. The clearer you are – the faster you’ll find a job. Step 1 - Set limits for yourself. Understand what you want, your personal restrictions and how far you might be able to compromise on any particular issue. An obvious factor to consider is salary – What’s your ideal? What’s your absolute minimum? How many hours can you, or would you, work for it? Would you accept a lower starting salary, revised upwards later? And so on. Other factors depend upon your personal circumstances but may include: distance away; working patterns; types of work you will or wont do; level of seniority you need or want; flexibility needed; additional benefits wanted (training, family support, health, pension, holidays); etc. Step 2 - Define your ideal job. Write this down in terms of the above work you’ve done. As you search for jobs you can use this information as a reference and to compare opportunities that you trawl up. Use a simple form of scoring, if it helps. Step 3 - Set targets for yourself. Sometimes it’s hard to find the motivation to keep going, especially if you’ve already spent time chasing a job but had little joy. Documenting targets for yourself (and showing them to other people you’re close to) can re-energise you and keep you active and focussed. Write targets for yourself that are relevant to you. How many applications do you want to send off – perhaps a minimum of one per day? So many per week? When do you want to have built up to that? How will you generate that many opportunities? Which methods of opportunity generation will you explore? Which ones on which days? And so on. The more detailed you can be, the more focussed and practical will be your searching. Top tips to aid your searching. Be practical about what you are after. If you’re a shipbuilder and the last yard just closed then either you move, or you focus on your generic skills. Don’t run at a wall that won’t give way. Be realistic about your skills, training, qualifications or experience. No matter how hopeless you think Tony Hayward was at BP, no amount of personal media skills will get you his job if you don’t have the full array of skillsets required and the experience to back it up. If you want to be a brain surgeon, a history of DIY home-surgery is not going to cut the mustard. Do not waste your time applying for jobs you are not really elegible for. Use your time wisely. If you’re not working, is there anything you can be doing to increase your skills during that time? Even reading books or using the internet in a structured way on a particular topic can be used to help impress potential employers. Consider working for free. Sounds crazy? Voluntary work not only looks good, it can help you get extra experience. If you have a skill, offer to work for a company for free for some hours each week, perhaps in return for training? Make sure you get your expenses covered so at least you’re not worse off financially. You never know what opportunities may crop up as a result of the new people you get to know, most of whom will be truly staggered by your determination. Adapt to your special circumstances. Is this your first job? Are you returning after a break, a gap year, a health break, prison, redundancy or being sacked? 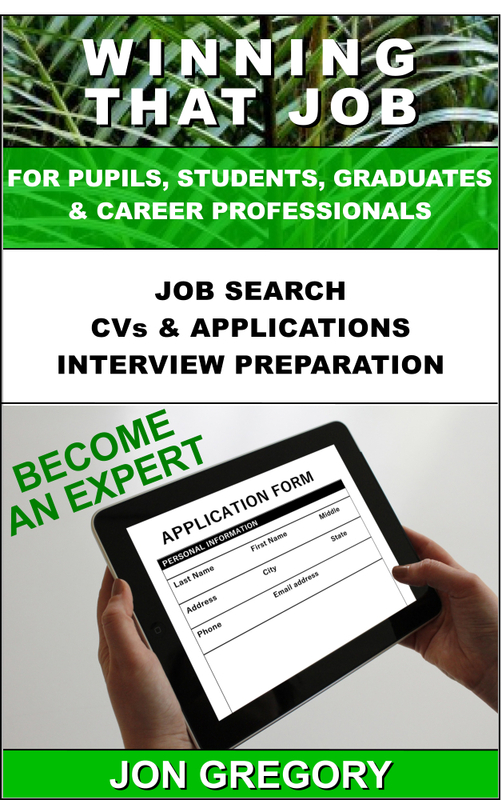 Are you short of a proper job history or career structure. Do you perhaps have few or no qualifications. Recognise your shortfalls (even if you never discuss them) and plan how to work around them or overcome them. Use that information to adapt your search. The bottom line is - if you feel better, you'll search better. Presentation Coaching Session - What Next?